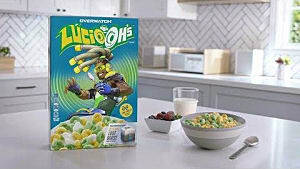 Overwatch is a heroic first person shooter, based in a world on the mend from a war, known as the "Omnic crisis," in which the robots humanity created became corrupted and rebelled. 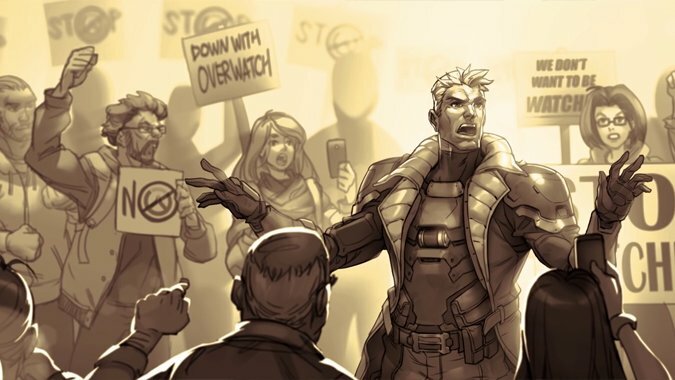 An organization called "Overwatch" was formed to front the assault against the robot rebellion. Unfortunately when the war was over, the peace-keeping agents were ridiculed for the collateral damage caused during the war. The organization was disbanded and the agents were left to become vigilantes, helping out where help was needed, or wanted. 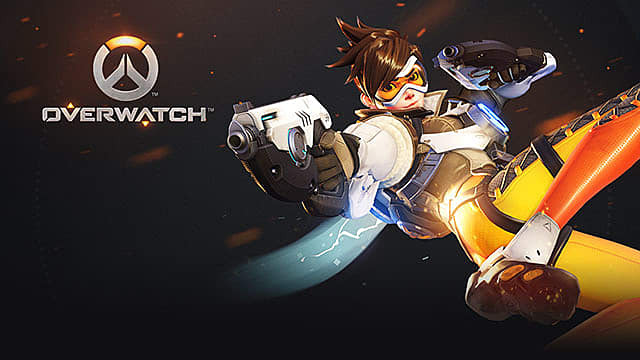 The gameplay of Overwatch is like any first person shooter, however you have two abilities, and one super power. All of the characters differ from one another, some can bound walls, some can fly, some can build traps and defenses, and still some others have completely unique play styles. Most of the characters seem to be able to counter each other, for example Genji is a good counter for Bastion thanks to his reflection ability. 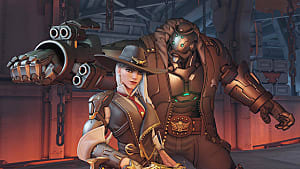 There were originally twenty-one characters in the roster of heroes, but recently Anna was added through a free update, which upped the roster to twenty-two. 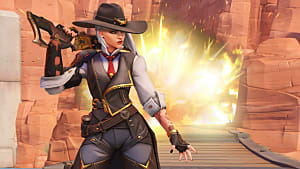 Blizzard even threw in a "Weekly Brawl" mode in which the game rules are drastically enhanced, you may only be able to play as certain characters or there may be a modifier to alter your power's cool down, there are many different changes that can be made. 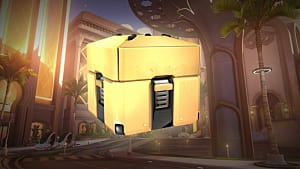 There are a few cons for Overwatch, first the kick time on the game is literally 30 seconds, which can be especially annoying when you're trying to play with your friends, you have very little time to do anything outside of the game. 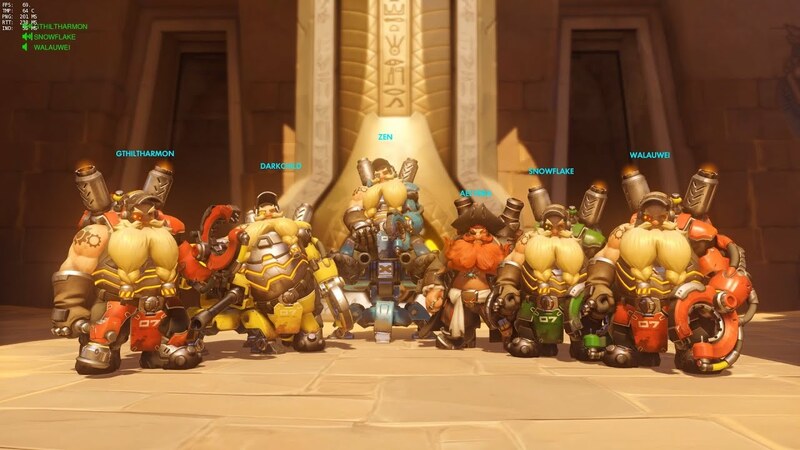 Secondly, the game allows everyone to play as the same character, so you could have a team full of Torbjorn (seen above). You start out getting mowed down from every direction. It can be annoying with a few characters, and it's very difficult to counter. I do have to say, the game is wonderful to look at. Although it looks like a cartoon, the art style Blizzard presented is favorable. The attention to detail in the characters (visually) and the animations is inspiring. 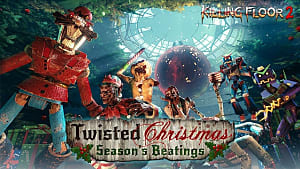 The map design is also admirable, each map allows each character to properly utilize their specialties; there is plenty of room for strategizing. 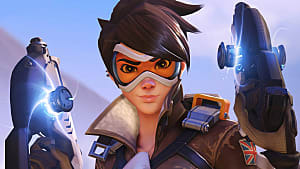 The sound design for Overwatch is also outstanding, no sound really overpowers another, and nothing is too obnoxious, while the ambient noises are fairly low-key. The theme music for the main menu definitely sounds like a superhero theme, while every stage has its own theme during the load screen. The voice acting can be a bit cheesy at times, but it's rather good for a lot of one liners, and a few dialogue sequences, not all that annoying. 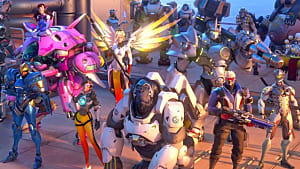 Overwatch has a lot of replay value, it's great fun with friends, and seeing as the game is centered around teamwork, and coordination, it can be very interesting. It's a great game full of content, with a beautiful art style, and is reliable for playing over and over again! Easily worth the asking price. 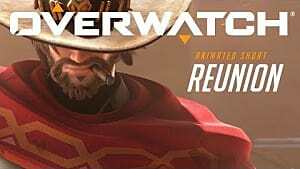 Whether you're getting mowed down by Bastion, or invaded by Hanzo's dragons, it's important to keep track of where Overwatch deserves some brownie points.